When I was younger Death in Vegas were one of my favourite bands and I was lucky enough to see them a couple of times live in Glasgow. 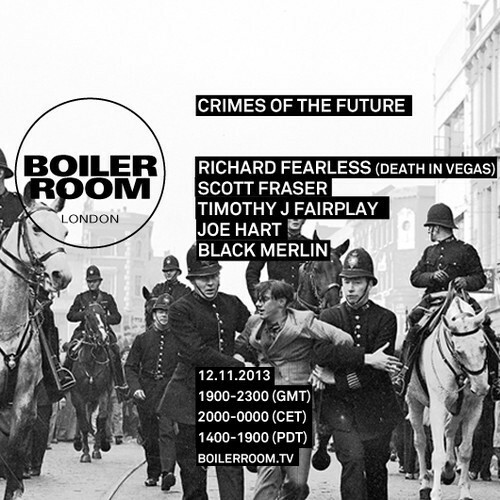 Have never seen Richard Fearless DJ but every set I have heard from him has been fantastic this Boiler Room mix is from the Crimes of the Future night that was live a couple of weeks ago . This mix is brilliant and starts off very spacey and then builds up to some very deep Acid House and Techno.